GODOLPHIN rule the roost yet again in all facets of racing at this year’s Dubai World Cup Carnival (DWCC) with James Doyle and Charlie Appleby holding sway over the jockeys’ and trainers’ leaderboards respectively and the stable in turn finding itself atop the owners’ standings. Taking stock at the halfway point, the proverbial writing might have appeared on the wall, but there are several names that follow closely, which speaks volumes of the depth of this season’s DWCC. 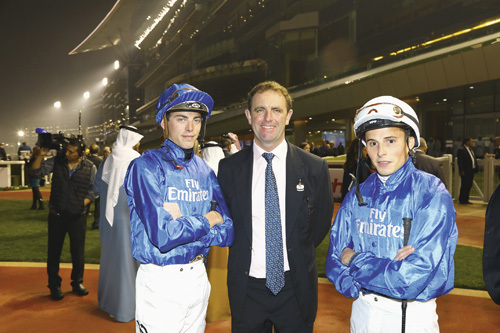 Doyle leads the jockeys’ championship with five winners, including two Group Two races for Appleby and has already equalled his total tally for 2018, while Connor Beasley is showing a tremendous run of form in only his second season riding in Dubai. The Irish rider is currently in second place with four carnival winners and an impressive strike rate of 22%, and ahead of a trio comprising Christophe Soumillon, Christopher Hayes and Richard Mullen, who boast three winners apiece. Soumillon, no stranger to carnival success, and winner of last year’s Dubai World Cup aboard the Saeed bin Suroorschooled Thunder Snow, has finished in the top three in 55% of his races. Twelve jockeys have ridden one carnival winner so far in 2019, including Brett Doyle, who has shown consistency with four of his ten rides finishing in the first three. 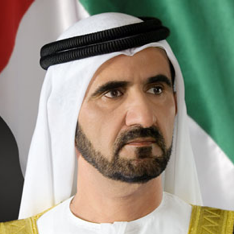 Team Godolphin’s Appleby heads up the trainer rankings with seven carnival victories, headlined by the Group 2 Al Fahidi Fort victor D’bai and Group 2 Cape Verdi winner Poetic Charm, over fellow Godolphin trainer Saeed bin Suroor’s four. Local trainers Ahmad bin Harmash and Satish Seemar follow closely with three carnival wins to their names. Of those with ten runners or more, Satish Seemar’s 27% strike rate outperforms Ahmad bin Harmash’s 20% and Charlie Appleby’s 19%. Sandeep Jadhav has sent out a pair of winners, joining the other two local trainers with four or more placings. 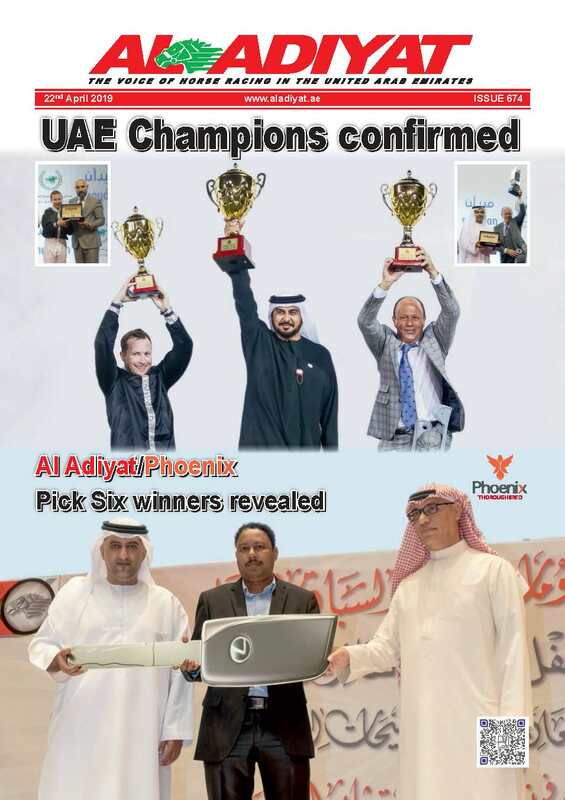 Reigning UAE Champion Trainer Doug Watson has captured a sole carnival race, courtesy of the Group 3 Al Shindagha Sprint winner Drafted, while finishing second and third five times each. Godolphin’s 11 carnival wins places them well ahead of local owner Sultan Ali, whose two wins are tied with Phoenix Ladies Syndicate. 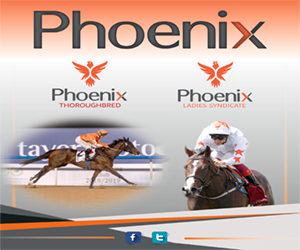 The Phoenix Ladies Syndicate is new to the carnival scene and has successfully partnered with Bin Harmash in sending out two 3yo winners from three runners, highlighted by the unbeaten Violence colt Walking Thunder taking the UAE 2000 Guineas Trial by nine lengths. Their other winner is Golden Jaguar, who went two lengths clear to capture the 1400m Meydan Classic Trial last Thursday. Thus far, 32 races have been contested and 33 remain in the carnival, including the seven-race $2.65 million Super Saturday card on 9 March.